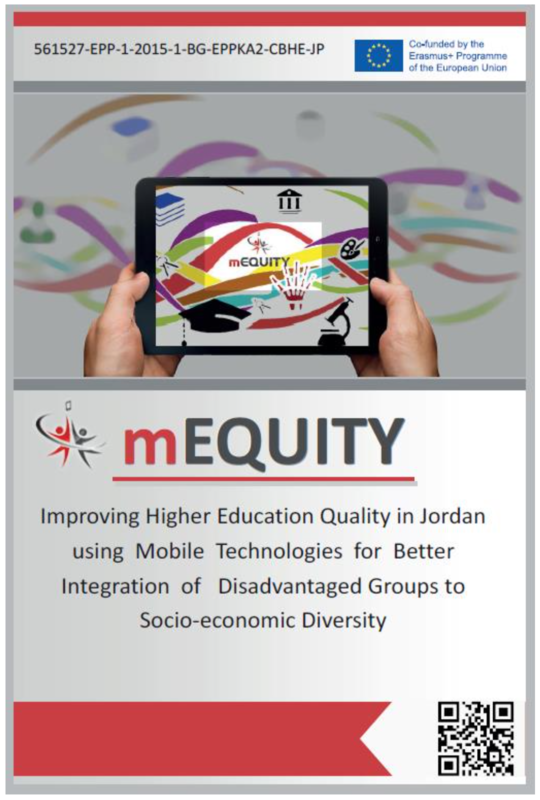 The project is aiming the development of an adaptive curriculum in engineering education that is based on digital learning resources for mobile devices, responds to the requirements for modernization and accessibility of the Jordanian high education system to improve the educational integration of disadvantaged learners in the educational system - groups in risk whose special needs or socioeconomic status significantly restrict their ability for adequate education. Click here to download the project book. Strengthening the institutional capacities of the 3 Jordanian universities. Increasing the quality of the Jordanian higher education system by promoting the adoption of the MDR Model as a model for a wider reform of the education in the domain of engineering education for people with special needs. Conclusions about the effectiveness of using mobile technologies for disadvantaged groups. Analysis of user needs in different contexts and existing curriculum at three Partners universities. Study, oriented toward assessing the extent of use of m-technologies by the specified groups of learners and opening opportunities for their inclusion in the learning process. Click here for the full needs analysis report. Mobile Digital Resources (MDR) Model - supports the didactic features of mobile technologies in order to adapt them to the training conditions of disadvantaged groups of people. Click here for the full MDR model. Designed educational scenarios: - Use of mobile technologies to expand training opportunities for students with special needs; - Use of mobile devices for distant training of socio-economic disabled people. Click here for the full pilot report. 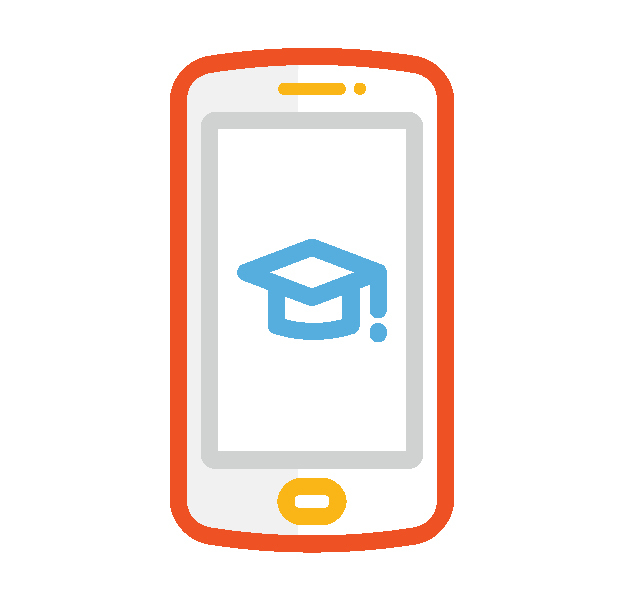 Developed and adapted mobile applications and digital educational resources, implemented across a range of disciplines in the field of engineering education and across institutions, for the needs of disadvantaged groups education and training. Click here for the final documents for this result. PU "Paisii Hilendarski" is the largest humanitarian higher educational and research establishment in South Bulgaria. It delivers degrees on a wide range of disciplines including Humanities, Computer Science and Information Technology, Business Administration, Economics and Social Sciences, Pedagogy and Psychology etc. The main activities of ECIT Department: Development and implementation of ODL Methodology and ICT as an innovation in education; Provision of educational and training services; Design and production and dissemination of ODL materials; Development and implementation of a learning environment and computer communication as a delivery tool for distance education and training. DIPSEIL Lab is a centre, where a distributed system for individualized learning and the underlying pedagogical procedures to implement, facilitate and promote performance-centred learning experiences in the context of VET, is implemented. In DIPSEIL we have developed distributed PS adaptive LCMS, appropriate for people with disabilities. Spanish University for Distance Education (Universidad Nacional de Educación a Distancia) is one of the largest Spanish Universities and is devoted to distance learning (using all communications media) and continuous education. Regarding the number of students UNED is one of the largest universities on Europe with about 160,000 students and near 1,500 teachers. UNED delivers degrees on most disciplines including Industrial Engineering, Computer Science, Physics, Chemistry, Mathematics, Humanities, Arts and Letters. UNED delivers also many open courses for continuous education, having more than 30,000 more students. UNED is the only Spanish University of National scope and distributed along all Spain. In the last years UNEDs particular teaching methodology incorporates intensive and extensive use of multimedia and communications. Ravensbourne Higher Education Institution RAVE (www.ravensbourne.ac.uk) is a world-class digital destination developing talented individuals and leading-edge businesses through learning, skills, applied research, enterprise and innovation. Ravensbourne is a university sector college, validated by the University of the Arts, London. It innovates in digital media and design, with a vocationally focused portfolio of courses, spanning fashion, television and broadcasting, interactive product design, architecture and environment design, graphic design, animation, moving image, music production for media and sound design. Ravensbourne is a centre of excellence, as well as industry and skillset accredited. Ravensbourne is a specialist institution with an outstanding track record for its design-led innovation, technology-focused teaching, knowledge exchange and applied research activities. Our strengths include the fact that we are highly responsive to technological change, we provide an agile framework for industry collaborations and with this, competitiveness in education and the creative markets. The University of Jordan (UJ) was established in 1962, since then it has applied itself to research and community research knowledge. UJ offers 63 international programs at the undergraduate level, and 132 international programs at the graduate level in all field of specialization. Also It offers 32 doctoral programs and 87 master programs. The essential components of most of the programs offered are based on dialogue, applied research, creative thinking, field work, practical training, combined with modern teaching techniques. Since its establishment in 1974, the Faculty of Engineering and Technology has always strived for keeping up with the latest developments in energy applications. The Mechanical Engineering Department has an energy research group which aims to be the source of knowledge and advanced technology in all forms and areas of energy and environment at all levels of national, regional and global. The department established a renewable energy master program which focuses on the themes of renewable energies and the environmental impact for producing and transforming it. Jordan University of Science and Technology (JUST) is a comprehensive, state-supported university located on the outskirts of Irbid, in northern Jordan, 70km north Amman, the capital city of Jordan. JUST was established in 1986 as an autonomous national institute of higher education with the main objective of producing outstanding professionals in specializations that match the needs of Jordan and the region. Since its establishment, JUST has been at the forefront of higher learning in the Arab World. It also maintains a high reputation among the Middle Eastern universities due to its faculty and administrative staff, multi-disciplinary educational system and broad diversity of students. The university was described as the best scientific institution in the Kingdom by King Abdullah II during his last visit, and it was ranked as the top research university in the country, and amongst the top 50 universities in the Islamic World, according to a study carried out by the Statistical, Economic and Social Research and Training Center for Islamic Countries (SESRIC). Founded in 1991, Princess Sumaya University for Technology (PSUT) is the only private and non-profit university in Jordan.It is owned by the Royal Scientific Society (RSS), the foremost applied research center in Jordan.Like RSS, PSUT is part of El Hassan Science City located in Amman, Jordan. PSUT''s main mission is to educate students and qualify them to pursue careers in the fields of information and communications technology (ICT), electronics, computer engineering, communication engineering, and business. PSUT offers Bachelor of Science (B.Sc.) degrees in Computer Science, MIS, Business Administration, Computer Graphics and Animation, Computer Engineering, Electronics Engineering, and Communications Engineering. Also, Masters of Science (M.Sc) degrees are conferred in Computer Science and Environmental Management as well as Global Master of Business Administration (MBA) in collaboration with Lancaster University in the United Kingdom. Being part of El Hassan Science City, PSUT strives to create a culture of entrepreneurship among its students. PSUT is licensed and all its programs are accredited by the Jordanian Higher Education Accreditation Commission. PSUT strives to be the leader in building the ICT and electronics sectors in Jordan and a research platform for Jordanian industry. Simply put, our goal is to have PSUT be "the university of the future" where highly qualified and talented students are educated and ready to join competitive markets in the 21st century and beyond. We at PSUT promote excellence, scholarship, commitment, innovation and entrepreneurship that drive the private sector. This project has been funded with support from the European Commission. The materials reflect the views only of the authors, and the Commission cannot be held responsible for any use which may be made of the information contained therein.